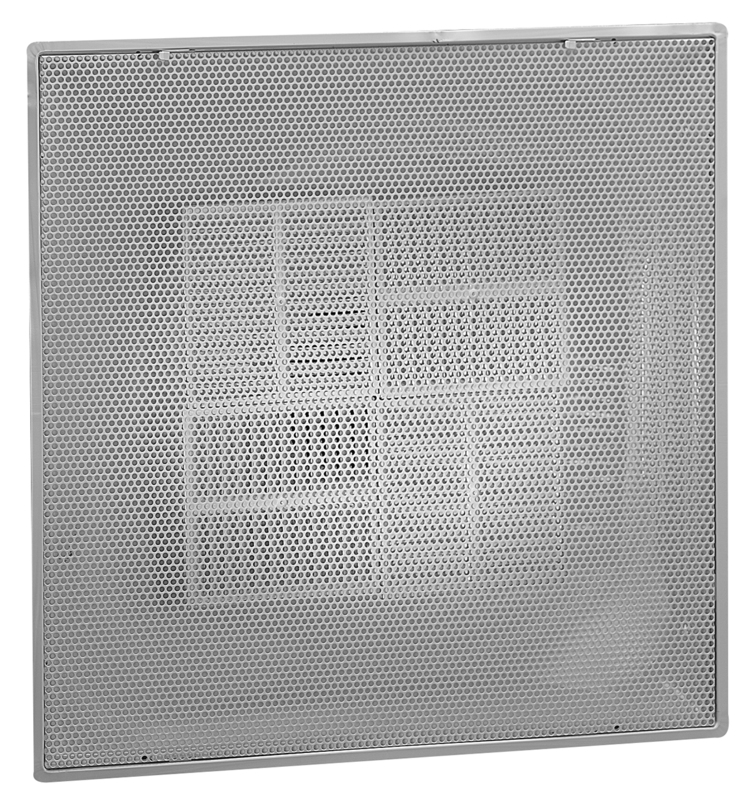 Model 1235 Removable face round neck Perforated Diffusers. Removable face and stamped deflector pattern controllers, which provide efficient air performance. 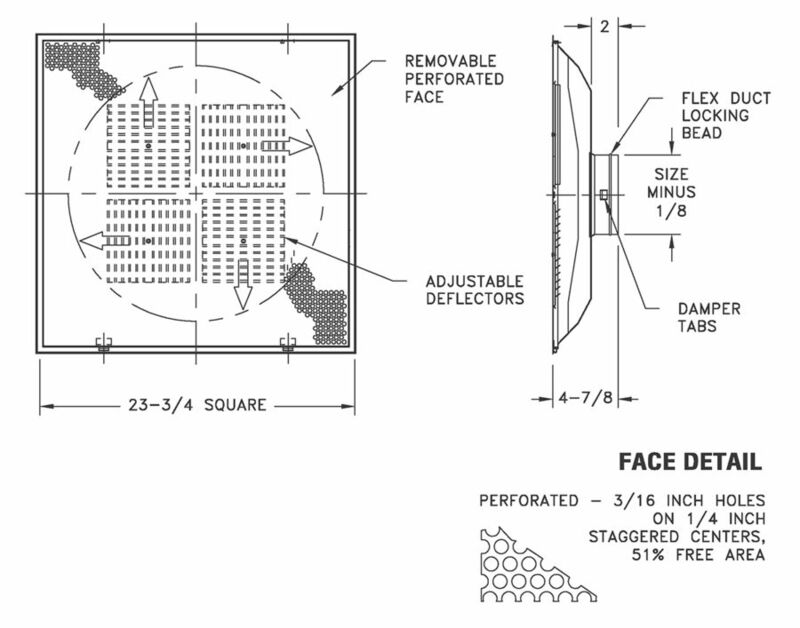 Six different air patterns can be achieved by adjusting deflectors through perforated face or by removing face.